Pakistan Science Foundation (PSF) organized a 2-day workshop on Project Formulation at The University of Poonch, Rawalakot on September 2-3, 2015. 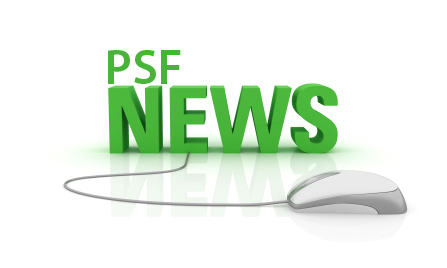 PSF is an autonomous organization working under the Ministry of Science and Technology, Government of Pakistan. Addressing the inaugural session of the workshop the PSF Chairman, Prof. Dr. Muhammad Ashraf (Sitara Imtiaz) explained the role of the Foundation and called upon the participants to communicate with the PSF officials and resource person Prof. Dr. Shafiq-ur-Rehman, Dean, Kohat University of Science and Technology, to get more information regarding fund winning proposals. He added that it’s time for the scientists to work proactively and reach out to the national and international funding opportunities. The scientists and faculty of the university has to dig out new avenues for projects funding and concentrate on the problem solving research, he added. The Vice Chancellor, University of Poonch, Prof. Dr. Muhammad Kaleem Abbasi welcomed the Chairman PSF and team and resource person. He thanked Prof. Dr. Muhammad Ashraf, Chairman PSF and his team as well the resource person for organizing such an important workshop at the University of Poonch, Rawalakot, Azad Jammu and Kashmir. He suggested the faculty to communicate more effectively with the PSF team and resource person for preparing fund winning research proposals. Dr. Mirza Habib Ali introduced the faculty with the the objectives of the workshop and the need for good research proposals.